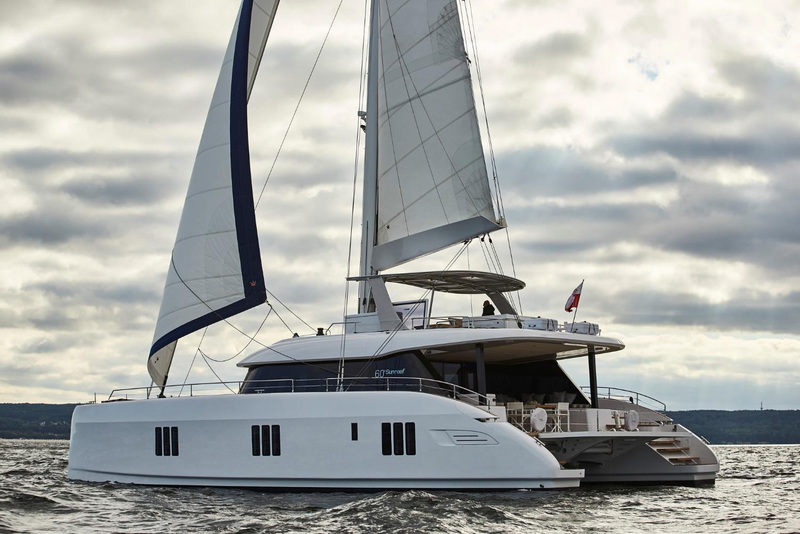 SUNREEF 60 SAILING - The best in luxury cat from Sunreef Yachts. 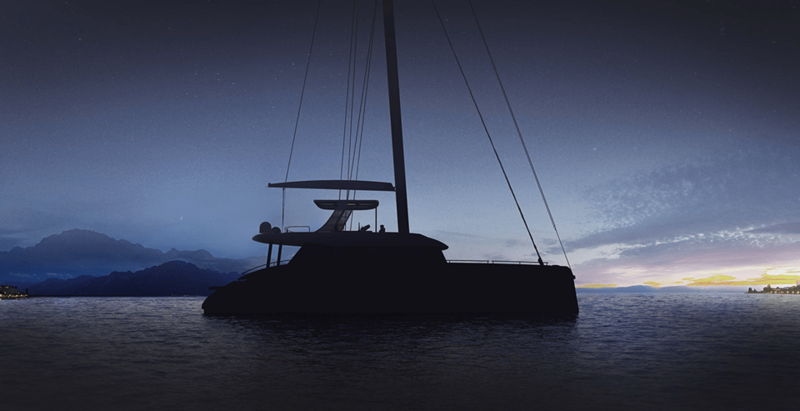 An all-around sailing leisure yacht ideal for exclusive getaways, charter and transoceanic adventures. 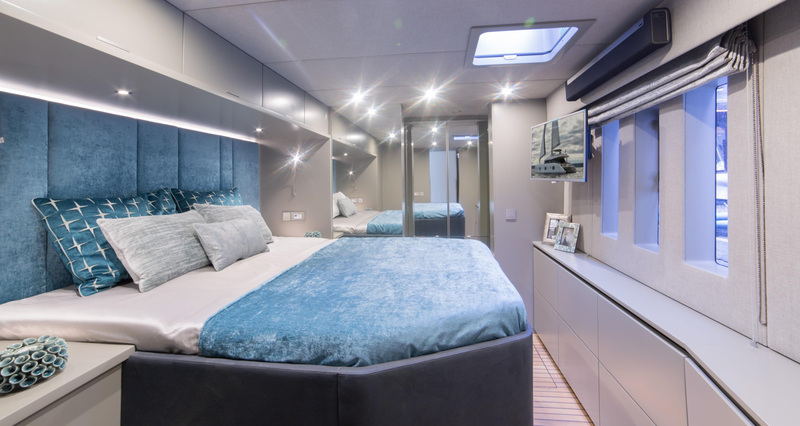 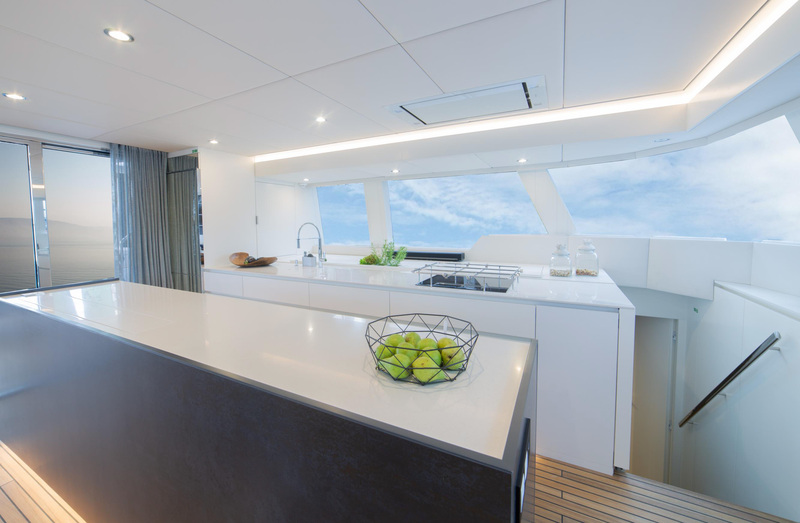 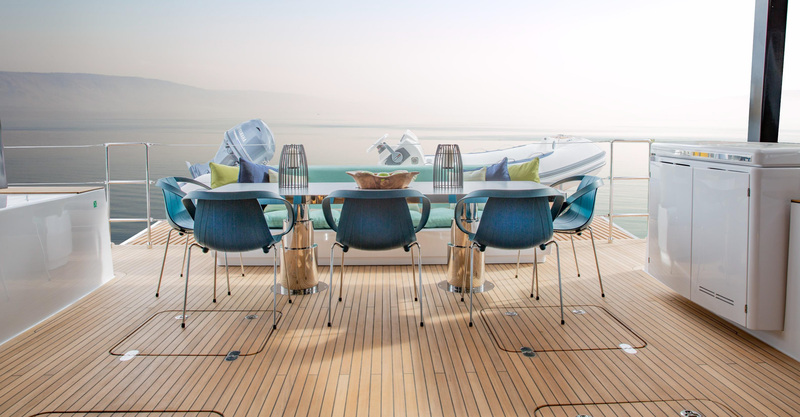 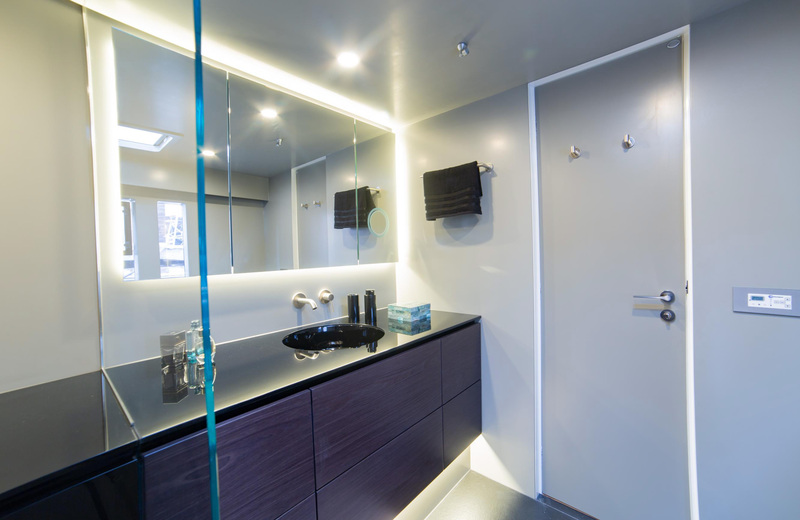 The Sunreef 60 Sailing boasts a combination of exterior and interior areas easily flowing into one another. 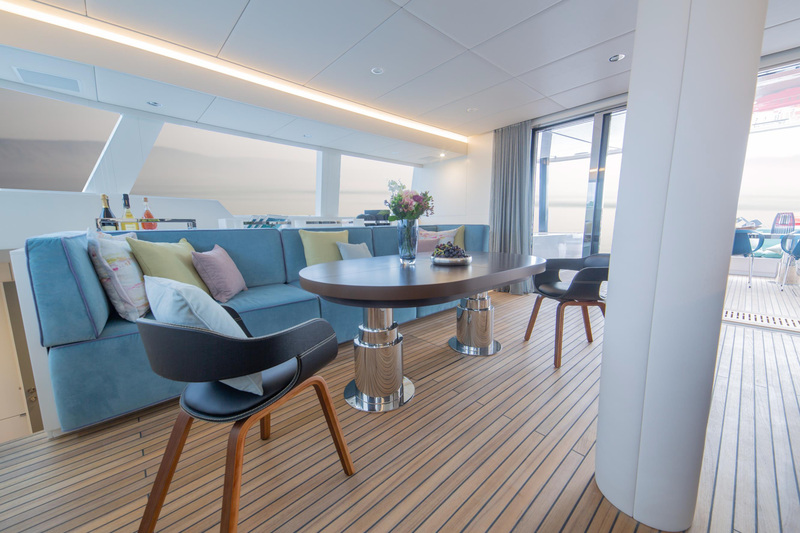 A clever bridge deck and superstructure design allow for a superior level of comfort on board whereas the generous teak use, high bulwarks and classy lines underscore her modern style with a classic edge. 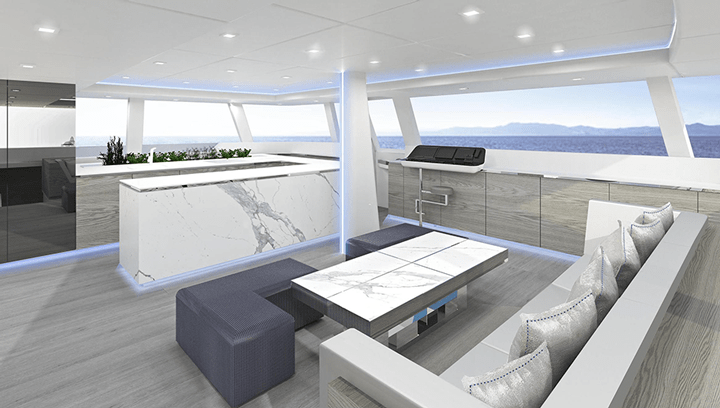 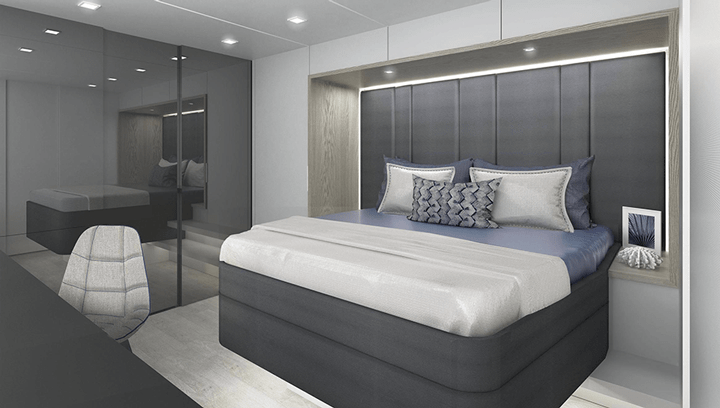 With a completely fresh superstructure concept, the Sunreef 60 gains a saloon plan with an outstanding potential for customisation. 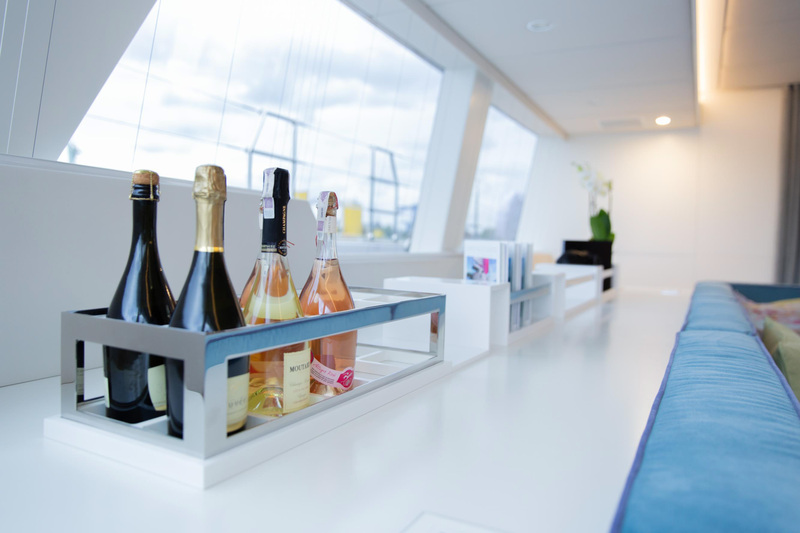 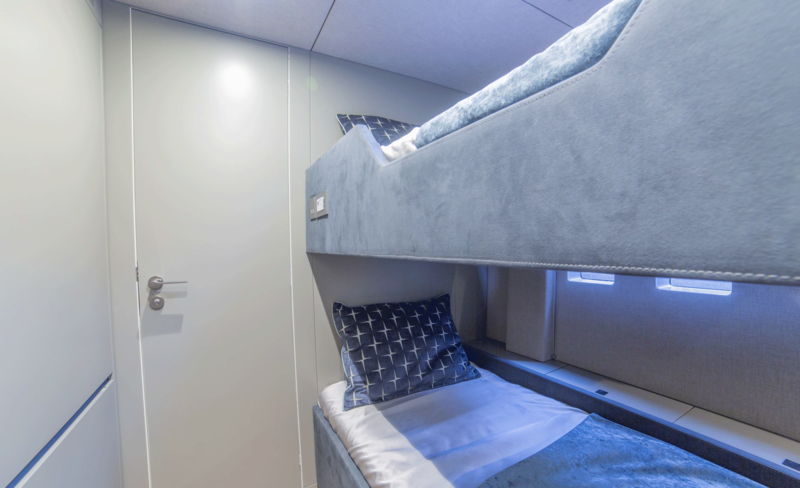 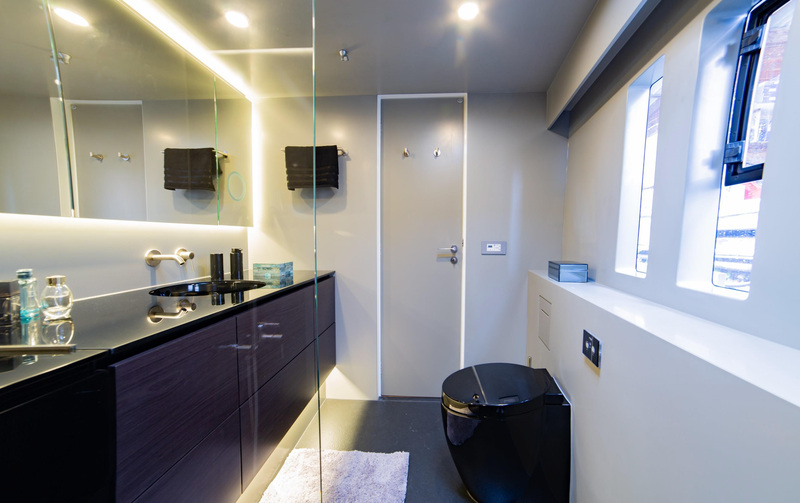 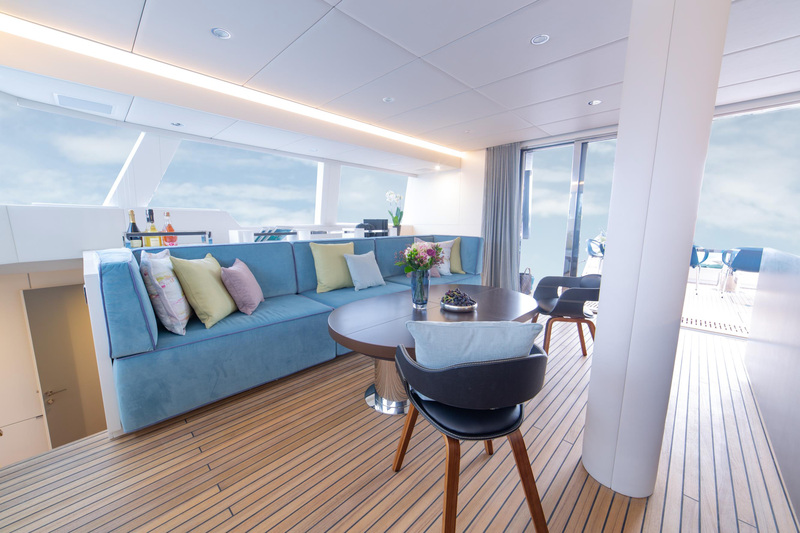 A vast, central lounging space with a panoramic view and endless layout possibilities, it opens both onto the bow terrace and cockpit. 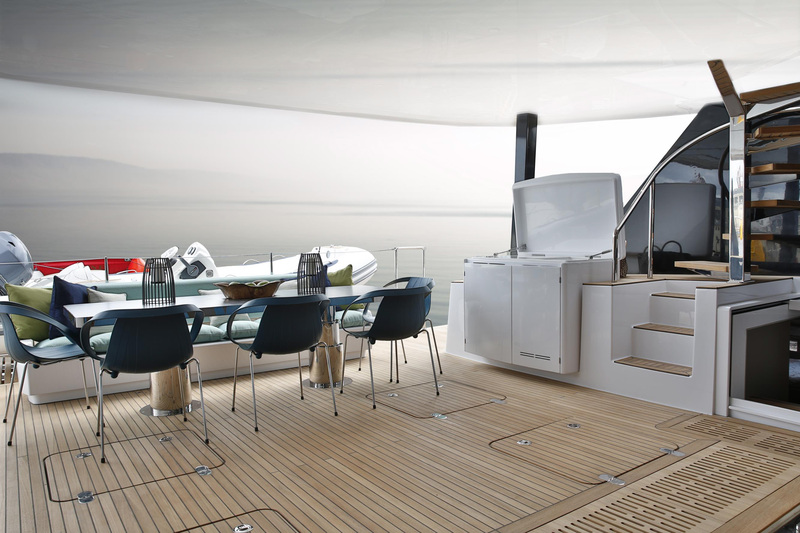 The bow benefits from a cosy lounge, well shielded from sun and wind. 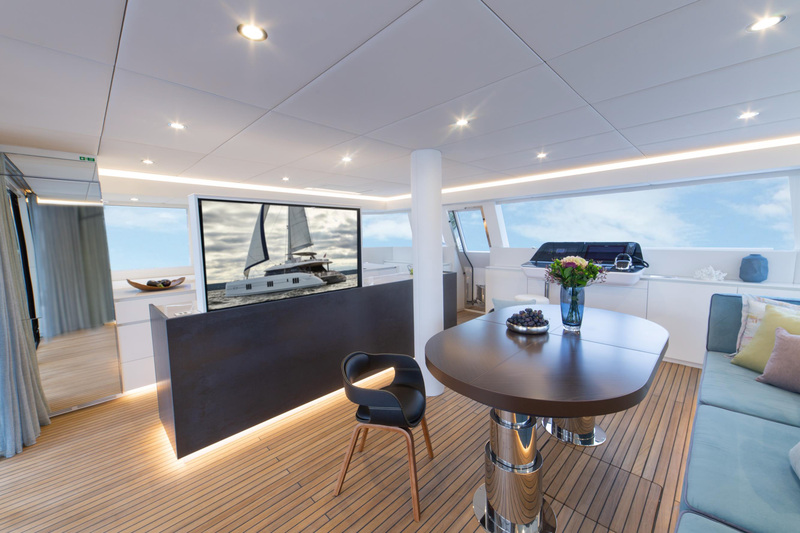 To the aft, the saloon merges with the generous cockpit extended with a large aft platform. 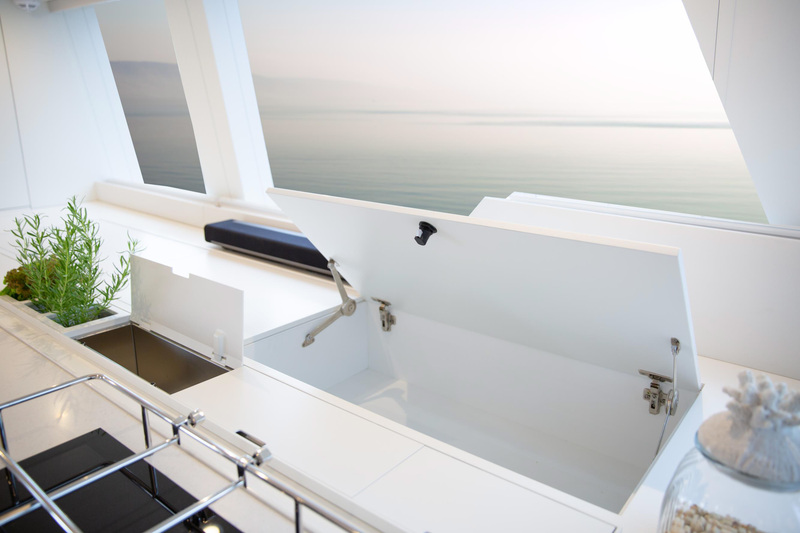 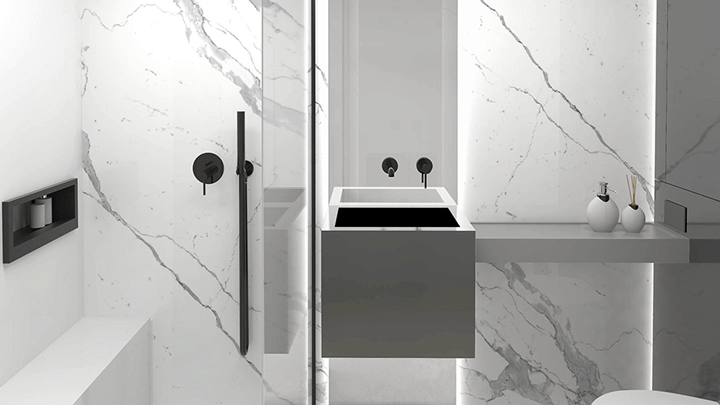 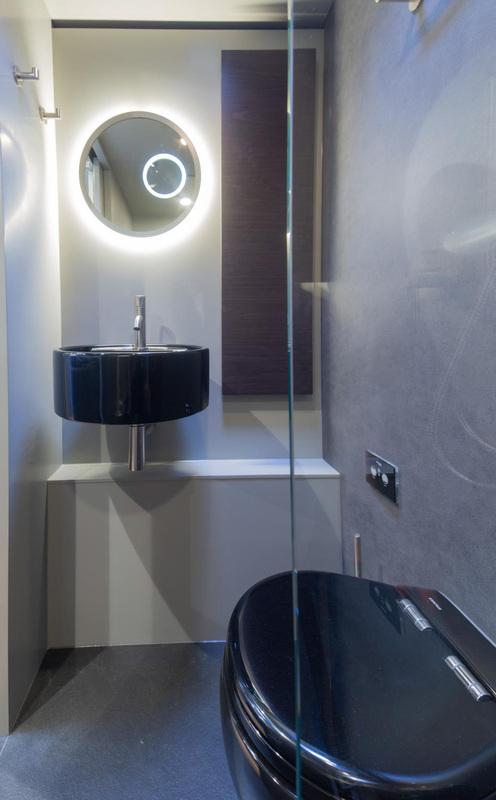 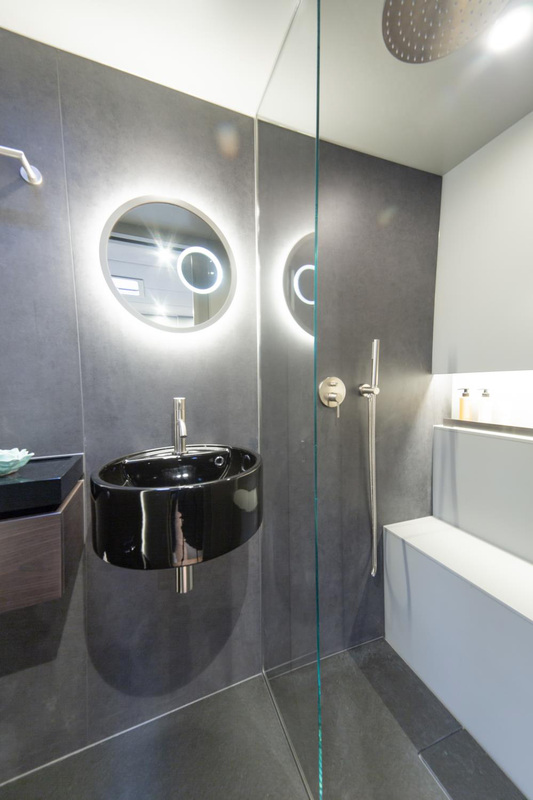 All the areas combined form a universal, open environment where flexibility and freedom reign. 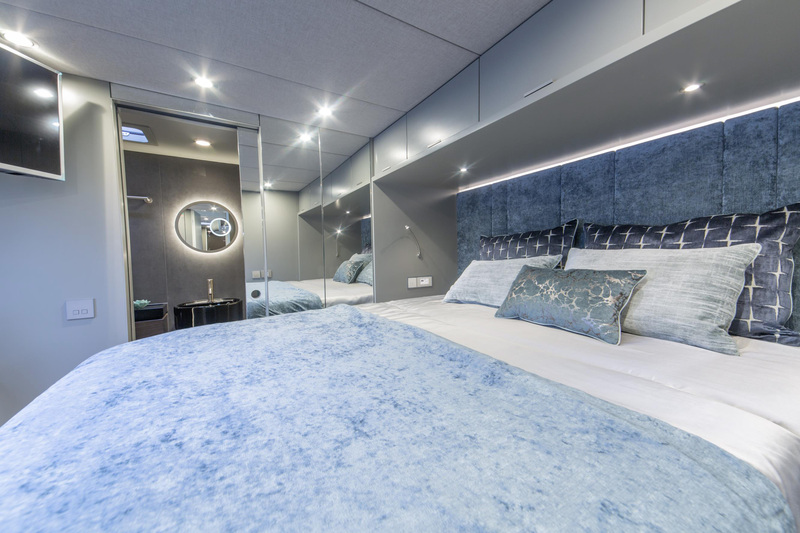 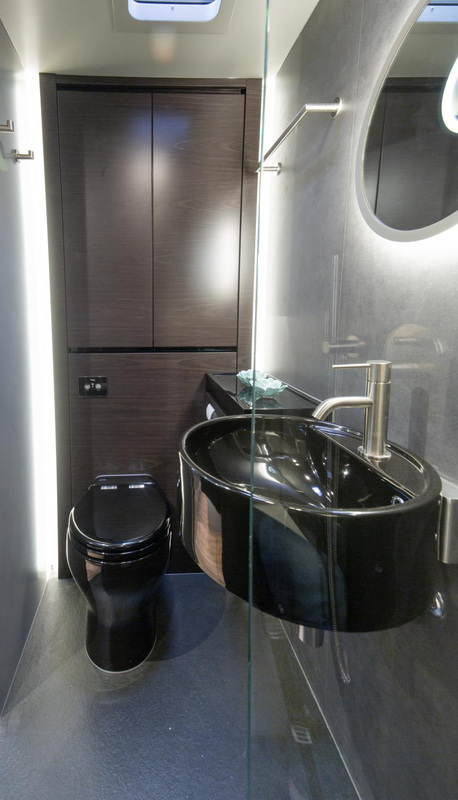 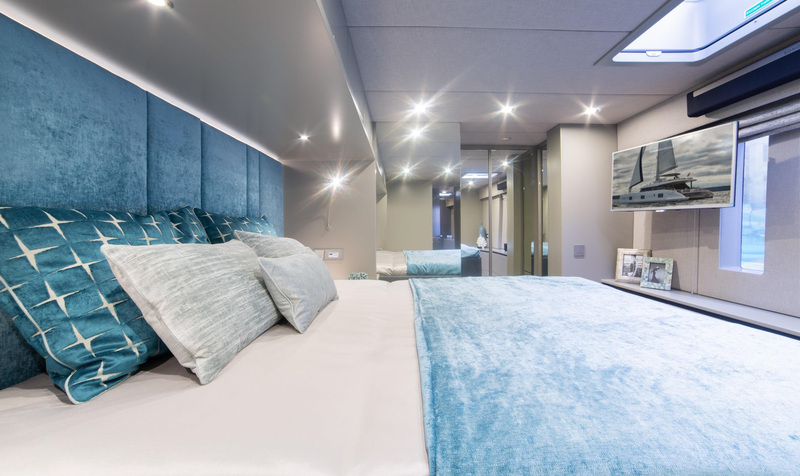 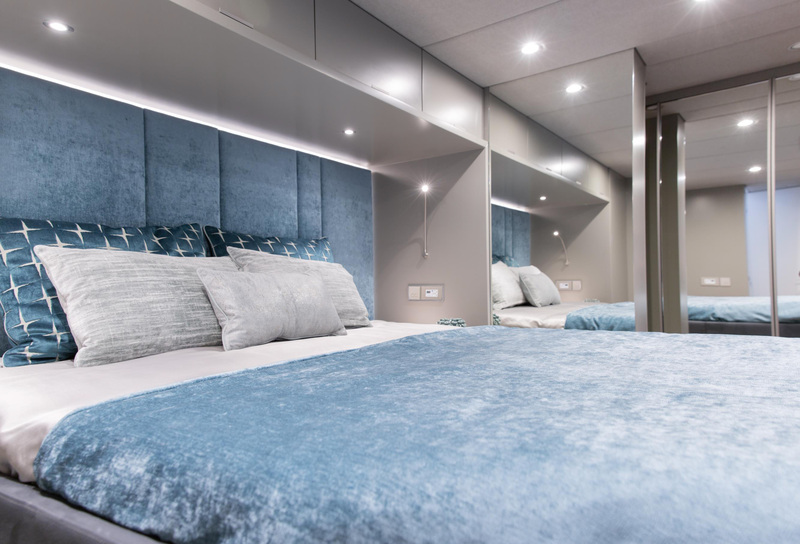 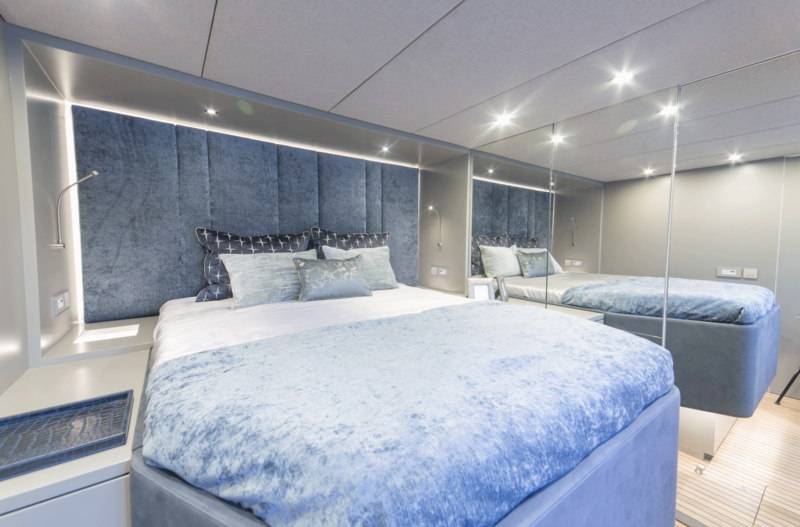 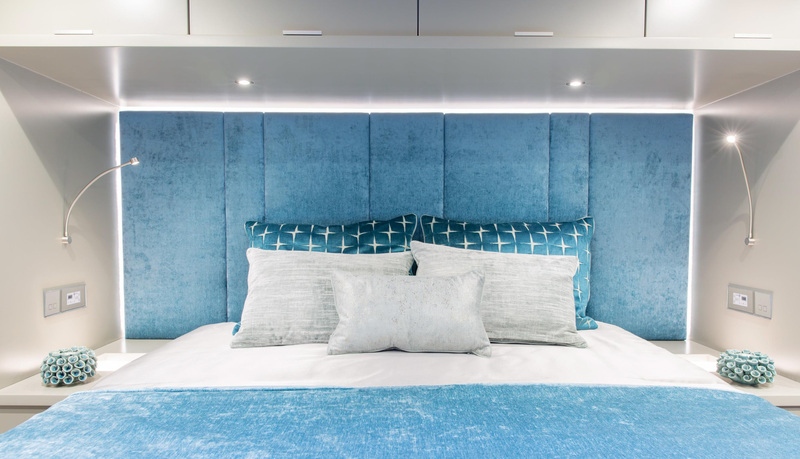 While housing the main helm, the 36m² flybridge is definitely dedicated to leisure with more than enough space for movable furniture, a Jacuzzi, fully-equipped wet bar, a barbecue and large sun pads.